UPDATE: According to the statistics, this post still/again enjoys regular visits, even though it has been written more than two years ago, when many cameras that are available now did not even exist. If you are facing a purchasing problem as the one described below now, you are welcome to describe your dilemma and I will provide my opinion on this blog (and more personally in writing, if you provide an e-mail address). To contact me, please either use the contact form or fill out this questionary. What camera or lens do you think you may need to buy? Which cameras and lenses do you regularly use? How much money do you usually spend for a camera and/or lens? What cameras and lenses do you already own? What type of photography do you pursue? Why do you think you may need a new camera or lens? Who do you photograph for? Getting back into photography after a while of abstinence is a great decision and it makes perfect sense that you would like to buy a new camera for that reason. My not-buying expertise seems not required in this case. However, I would still like to share a few thoughts. Your situation seems somewhat comparable to mine of a couple of years ago. At that time, I was very much attracted by the new and small universal (10x) zoom lenses for mirrorless cameras. I ended up buying a Panasonic Lumix GH1, just before it was discontinued, together with the 14-140 mm lens (35 mm equivalent of 28-280 mm). I really like this lens and camera combination and could take almost all my photographs with this camera and lens. It is small enough so that I do not mind carrying it around all day long, the zoom range is fantastic, and also the optical quality is good (good enough for most of what I am doing). -Any Panasonic camera with a viewfinder (could also be a used GH1 or GH2) with the 14-140 mm lens. I think that this may be the best compromise between size, weight and quality. I would much rather buy an older and cheaper camera body in order to be able to buy the 10x lens (for example a GH2 because it may be found on sale with this lens at the moment). -The newly announced Canon 100D/SL1 with a 18-135 mm or 18-200 mm lens (35 mm equivalent of 29-216 mm and 29-320 mm, respectively). I would be tempted by this option because I still have Canon lenses. In addition, this is a very mature system and a very safe bet in terms of quality and extendability. -The Nikon 1 V2 with a 10-100 mm lens (35 mm equivalent of 27-270 mm). I have no personal experience with this system, but it is the smallest combo and there are people who like these cameras a lot. -The Sony NEX-6 with the 18-200 mm lens (35 mm equivalent of 27-300 mm). The Sony NEX-6 is the camera that I currently like best (based on specs and the looks, I do not have it), but the combination with the 10x lens will be more expensive. I have omitted the micro four thirds options from Olympus because you asked specifically for Panasonic and because the only Olympus with an integrated viewfinder is the OM-D E-M5, which would be more expensive when combined with a 14-150 mm lens. For practical purposes and for your intended use there is not much indifference between these solutions. If you have previous experience with one or the other system, you may be drawn towards that brand, but I think you should decide based on personal preference. In any case, the camera that you will buy will be the best one for you, because YOU are going to use THIS CAMERA to take photographs. "Objectively" there is no best or worst camera and all available cameras will fulfill their purpose - record photographs. 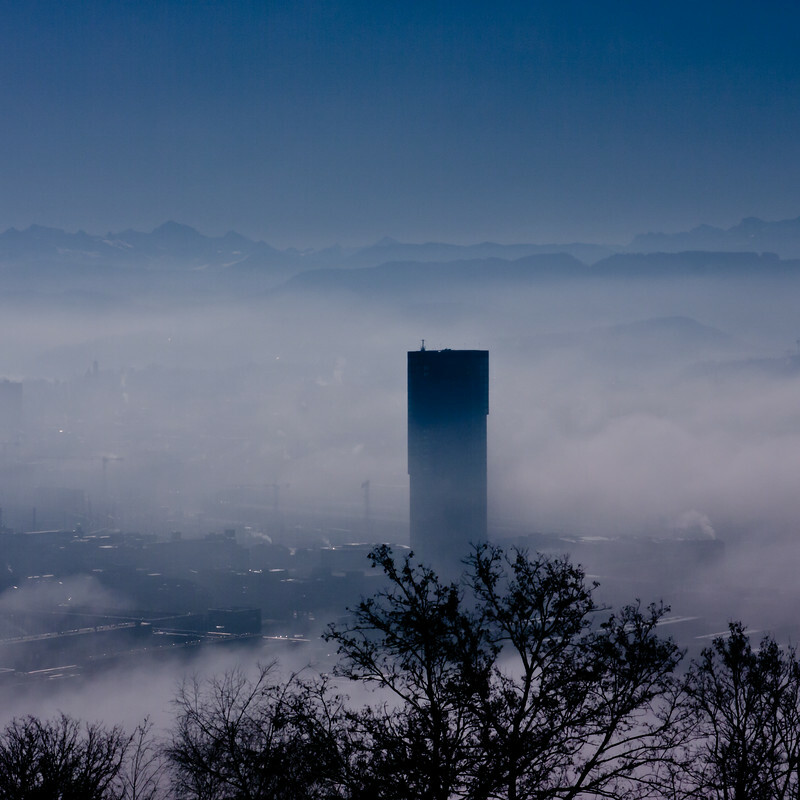 Another, later version of the sea of clouds photograph that was captured on a mystic foggy winter morning in Zurich. In the haze in the background you can see the nearby mountains. The photograph was taken with a Panasonic Lumix GH1 and the 14-140 mm lens. Tree silhouette 12: Here comes the very recently recorded dozenth tree silhouette. We have just spent a weekend in exceptionally bad weather in London. One of the few discoveries that made me take out the camera was this tree in St. James's Park with its strangely intertwined and even merging branches. To me, it looks as if there was a mask with two eyes staring at me out of this labyrinth of branches and twigs. 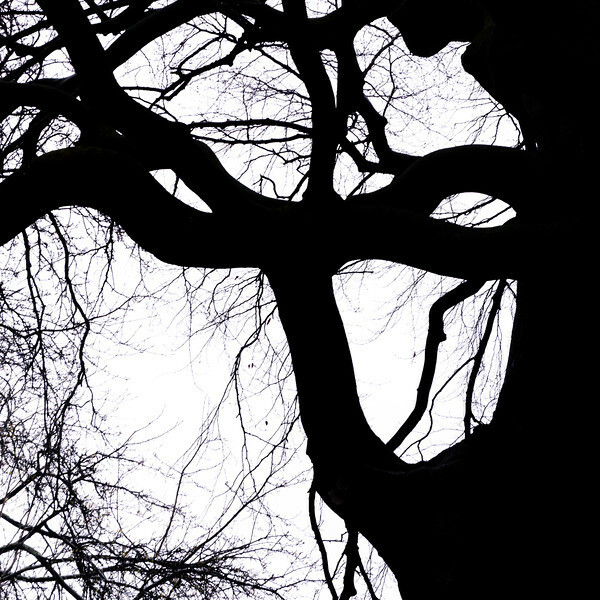 If you want, have a look at the other tree silhouette posts or at the tree silhouette gallery on Florian's photos. Carcolors 22: Here is a less abstract but strongly distorted reflection of an office building. I think it is a good example for the distorting power of car bodies. You can often find buildings to bend (Carcolors 3 is another example) and to form such distorted bubbles, but usually there is only one - here there are two! Other carcolor compositions have been shown in earlier posts HERE and all carcolor photographs can be looked at in the Carcolors gallery. I am rather busy these days and when I have finally time for a photo walk or bike ride, the conditions are not appropriate for what I have in mind. Therefore, I have had only few opportunities to really try out my new tilt and shift adapter. Nevertheless, I would like to share my absolutely very first tilt (and shift) composition - for which I only used the tilt function. In order to render the concrete columns on the right sharp, I have tilted the lens a few degrees to the right. As suggested by Darwin Wiggett and Samantha Chrysanthou, I have set the camera to manual mode, defined the aperture (f8) and exposure time before applying the tilt and then composed the photograph by slowly changing the tilt angle and verifying sharpness in live view mode (much less tilt was necessary than I had expected). The photograph was taken in Zürich Oerlikon, close to where I live. 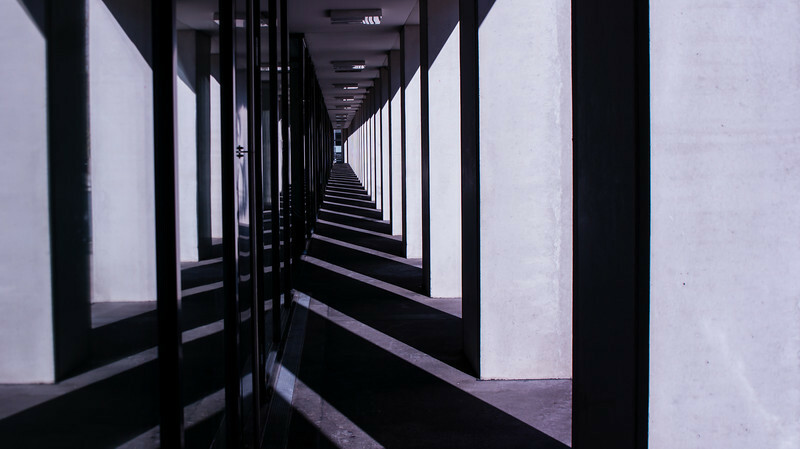 The particular building is featured in several of my light & shadow compositions, some of which were shown in previous blog posts (I like to call it the not guilty building). This composition is broader than previous versions (due to the 20 mm lens), but I quite like it. The little lightly colored square at the end of the alleyway really catches my eye! Nevertheless, this is only my very first attempt at tilt and shift photography and I certainly hope to improve my technique (I am still terribly slow at setting the camera up). 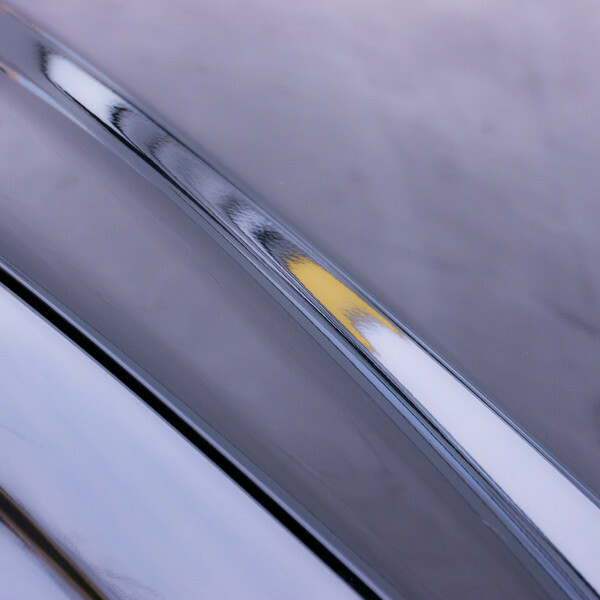 In this example, it may not even be apparent that a tilt & shift function was used - only the blurred reflection on the left may indicate that the focal plane was not straight. 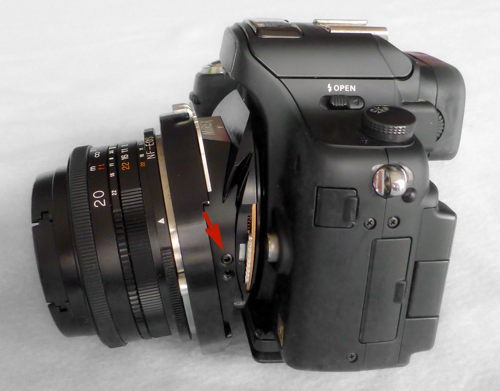 UPDATE 2: A tilt-shift adapter with Sony E mount is now available. UPDATE: A new tripod mount is now available as an accessory for the tilt-shift adapter. The following blog post has two goals: To highlight a new tilt and shift adapter for micro four thirds (M4/3) bodies and hopefully to set the starting point for a forthcoming series about my first steps and learning experience with tilt and shift photography. Until now I have no hands-on experience with tilt and shift photography whatsoever, but I intend to delve into this technique. If you want to learn about the theory behind this technique, I recommend the tilt-shift ebook by Darwin Wiggett and Samantha Chrysanthou or THIS highly educational resource. In short, tilt describes a movement of the lens relative to the sensor in order to control depth of field, while shift is a movement parallel to the sensor to adjust perspective or to create composite photographs (e.g., panoramas). I have been looking into possibilities to control sharpness or blur more creatively and deliberately since a while. 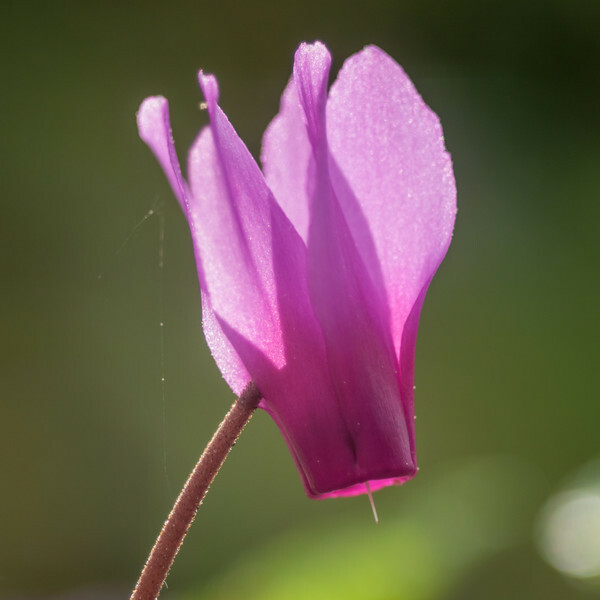 A classical technique for this purpose consists of tilting the lens, but it requires specialized, dedicated and very expensive lenses. However, the slim bodies of compact system cameras enable a new and more economical alternative. 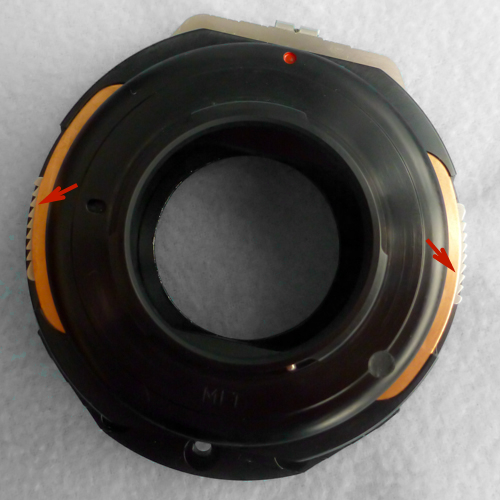 It is possible to mount lenses that were intended for thicker cameras on slim camera bodies through the use of adapters that bridge the difference in depth between the two bodies (to be exact, it is not the thickness of the bodies, but rather the flange focal distance that is relevant). If the difference between the different flange focal distances is large enough, it is possible to accomodate a tilt and shift mechanism in the adapter. This solution is much less costly than a dedicated tilt and sift lens and it can transform a huge number of "normal" different lenses into tilt and shift lenses. You could even "create" a tilt and shift zoom lens! Following my web researches and through inquires I have learned unexpectedly, that the German company Mirex has just developed a tilt and shift adapter with a M4/3 bayonet and a Canon EF mount (it is not even listed on the Mirex website yet). 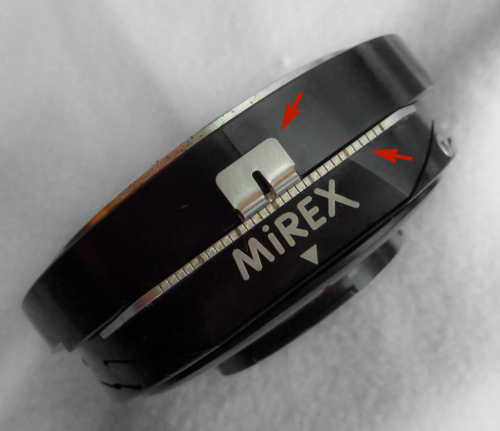 Mirex has been producing nicely built and refined tilt and shift adapters with different mount and bayonet combinations for a while, but this is the first model for a compact system camera (only one other company sells similar adapters that look like copies of the Mirex design). Personally, I find the M4/3-Canon EF mount combination perfect and most versatile. 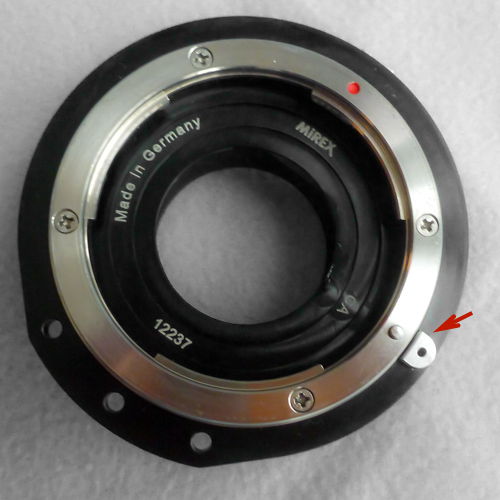 Thanks to the different flange focal distances, this Mirex adapter could also be used on Sony NEX cameras (with a 1.25 mm thick adapter) and in addition to Canon EF lenses (without aperture control) many other "old" lenses (e.g., Nikon, Olympus Zuiko, Leica R or even medium format lenses) can be mounted. The Mirex adapter is smooth and well built and allows defined and controlled shift and tilt movements (only perpendicular to each other). The maximal shift movement is 15 mm in both directions, which (theoretically) enables capturing an image width of 47.3 mm. Note that this is even wider than full-frame and therefore larger than the diameter of the image circle of many lenses that are likely to be used. The lens can be tilted by 10°, but only in one direction. However, a rotating mechanism allows to move the tilt into any direction (it snaps in defined positions every 22.5°). Since the whole tilt and shift adapter is rather large in diameter, rotating the lens requires space. Before the purchase, I have been warned that the adapter is not compatible with the popular Olympus OM-D E-M5 and that it may touch the flash housing on certain Panasonic Lumix bodies. The adapter just fits the Lumix GH-1, but it is necessary to exchange to original screw that loosens or tightens the tilt mechanism with the included allen head screw (see the photograph below). 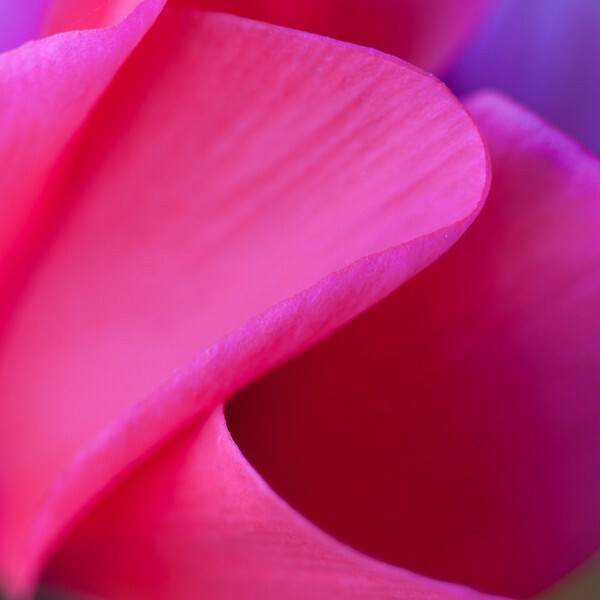 Shifting the lens fully to the right may interfere with the grip and with holding the camera. Personally, I am not worried by this because I will use the shift movement mostly with the camera mounted on a tripod (e.g., for panoramas), which brings me to a really great feature of the Mirex adapter: There are three holes on the lower part of the housing (see for example the first photograph below), that serve to attach a tripod mount. This accessory is not yet available, but it seems like a worthwhile and useful addition and indicates foresightful planning. The photographs below are meant to give you an impression of this interesting tool and to help you picture its functioning. So far, I have a very positive impression of the Mirex tilt and shift adapter and I really look forward delving into tilt and shift photography. If you have any questions concerning the adapter I am sure that the representatives of Mirex will gladly respond (they were very responsive in my experience), but I would also be glad to answer possible questions. I hope that I can soon provide you with my first tilt and/or shift examples and wish you a nice day and good weekend! View on the Canon EF lens mount of the adapter. 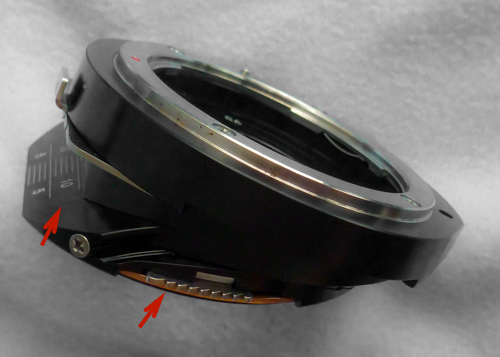 The red arrow indicates the button to release the lens, just like on a camera body. The three holes on the bottom may permit the attachment of a tripod adapter (my hope) but I could not yet confirm their function. View of the micro four thirds bayonet. The two arrows indicate the dentate disc that has to be turned/pushed in order to rotate the lens relative to the camera. The mechanism snaps in every 22.5° (16 positions). View from above. The latch in the middle releases the shift movement upon pressing. The scale indicates the amount of shift (15 mm in each direction). Same view as the illustration above, but with full shift in place. View from the side. The dentate ring for turning the lens is again visible. On the left there is the scale for the tilt movement (10° in one direction). View from the side with the adapter mounted on a camera and a lens mounted on the adapter (via a Nikon to Canon EF adapter). The lens is fully tilted downwards. The arrow indicates the screw that tightens or loosens the tilt movement. Originally there is a large screw that can be turned by hand. On the particular camera body used here, this screw would prevent rotating the lens (due to the housing for the flash). The replacement allen head screw in place here is provided together with the adapter (as well as the necessary allen keys). P.S. 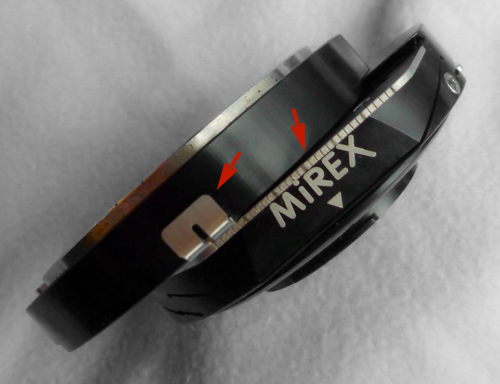 The tilt and shift adapter that is described here and which provoked me to write this text was purchased from Mirex. I am not associated with Mirex and I do not receive any form of compensation for writing this text. 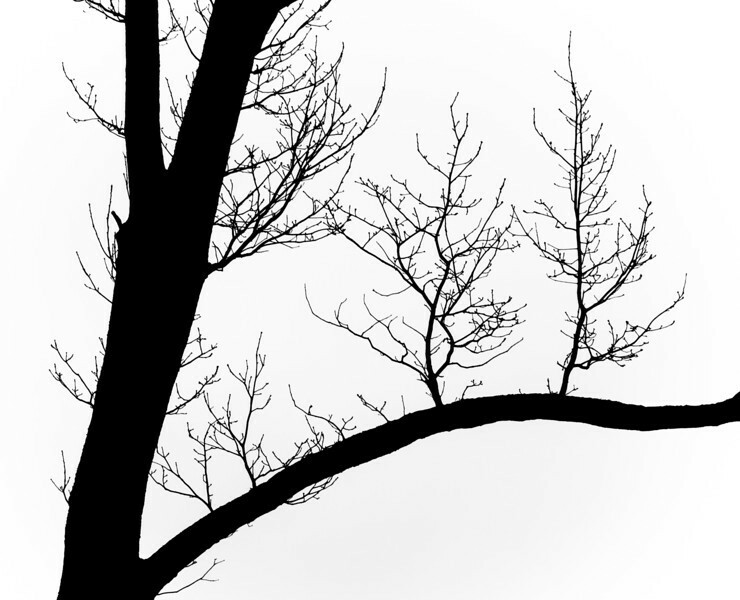 Tree silhouette 11: The tree that lent its shape to the photograph above grows very close to my home. I am attracted to its silhouette, because it looks as if there are trees growing from one of its branches. Other tree silhouettes have been shown in previous posts and are also found in the tree silhouette gallery on Florian's photos. I have recently watched the movie The Big Year, which is a comedy about three men, played by Jack Black, Steve Martin and Owen Wilson, who try to see as many bird species as possible within one year and within the United States. For somebody at least remotely interested in birding, the movie is not entirely convincing, but it perfectly portrays the passion for birds. Today's photographer is very passionate about birds too; in particular about photographing birds. Unlike the other photographers that I have introduced so far, Ray Wilson is mainly a bird and wildlife photographer (and a research scientist, who is currently working at the University of Nottingham). He travels the world on his quest of capturing the feathered creatures that roam our planet. From Ray's diary you can learn that he ended the year 2012 and started the year 2013 with a trip to Ecuador, where he saw 348 species of bird! He presents the treasures from these trips in slideshows and his photographs have appeared in many books. However, Ray says that he is also becoming more and more interested in macro photography; in particular in insects. This clearly documents his ambition: There are only about 10'000 species of birds, while there are over 1 million species of insects! The virtual galleries on Ray Wilson's homepage are systematically arranged according to taxonomic groups. The bird photographs are divided in passerines (perching birds, also called songbirds) and non-passerines and further into the many different families. For example, if I would like to look at photographs of the House sparrow, I surf from the passerines to the Passeridae (the bird family the house sparrow belongs to) and there I will find the well-known Passer domesticus (and four other species of sparrow). On my recent visit on Ray Wilson Bird & Wildlife Photography I was particularly impressed by the hummingbirds from Ecuador. 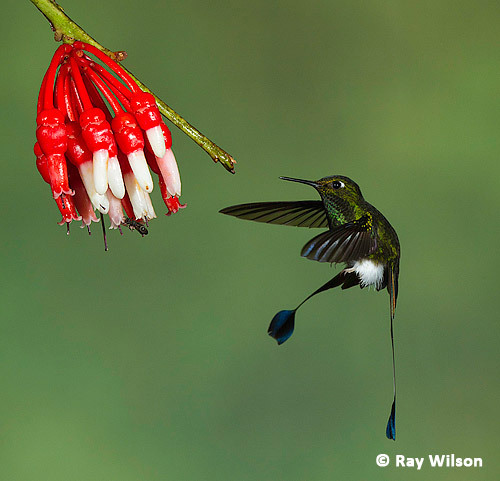 The photograph below is a particularly well-accomplished capture of a Booted Racquet-tail. If you want to delve further into hummingbirds, there are 18 additional species (under Non-passerine Birds and in the family called Trochilidae). The Ray Wilson photo treasure is more personal than the previous ones, because we have worked at the same place more than 10 years ago (at the University of Maryland in College Park). I still remember our regular sandwich-lunches together. In addition, I also have an affinity for birds and bird photography. As a young boy I read and collected everything about birds that I could find and at one point I dreamt of becoming a bird photographer myself. However, my photography interests are not really compatible with serious bird photography and I prefer to admire the dedication and perseverance of twitchers and bird photographers like Ray. 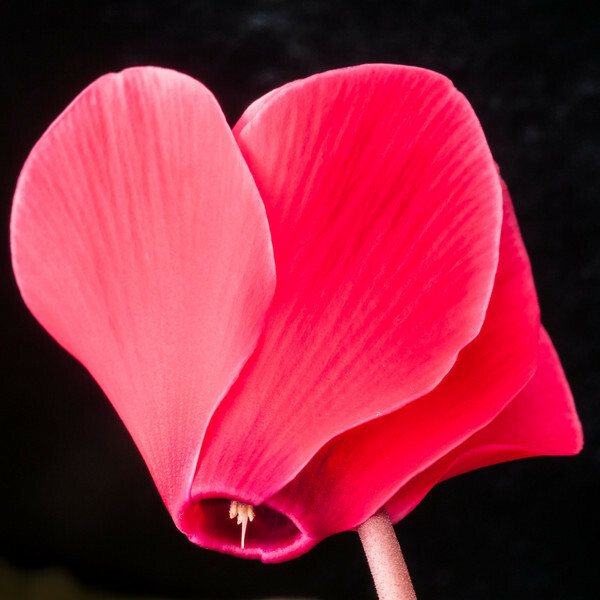 I hope you will have a look and enjoy his photographs! Today's light & shadow composition is very extraordinary for me: It contains an actual, living human being! For me, it does not feel correct to photograph and show somebody who I do not know at all, but in this case the person is only a small silhouette and not really recognizable. I have contemplated converting the photograph to black and white, but I decided against it. I like color and clearly prefer the version in which the grass is green. I even think it makes the composition more interesting. 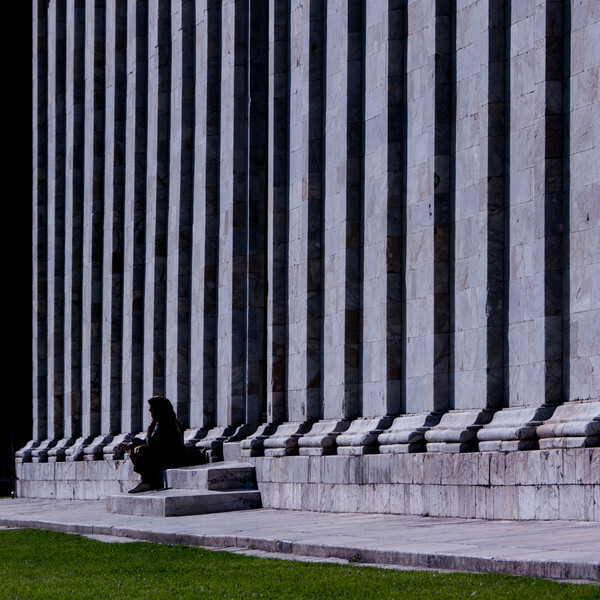 The scene was observed on the Piazza del Duomo in Pisa, Italy, and more light & shadow posts are found HERE. I do not support the photography industry very much, because I consume far too little and rather advocate moderation. I am convinced that limiting myself is only positive. As a consequence, I have become really good at NOT buying stuff and I would be glad to help you discover and develop this skill as well. If you need arguments to prevent you from unnecessary purchases or to help preventing compulsive camera buying syndrome (CCBS), please either use the contact form or fill out the the questionary that I have prepared. Picasso used cheap paint (original reference here) for his paintings - why would you need an expensive new camera? Contemplating new equipment is just a compensation for not photographing often enough. The only successful strategy to improve your skills as a photographer is to photograph more - not to buy or review cameras. No photographer has ever taken great photographs with different cameras and lenses at the same time. All you need is one camera with one lens that you really know how to use. If you own a reasonably new camera with a lens (probably bought sometimes during the last five years) you have everything that is necessary to take great photographs. If you suffer from a pixel inferiority complex and therefore intend to buy a higher resolution camera, remember that you would likely also need a new computer, more hard drives for backups and more time for editing. Some of the money spent on a new camera could be invested much more wisely: buy an accessory that really fosters your creativity and which allows you to do new things. 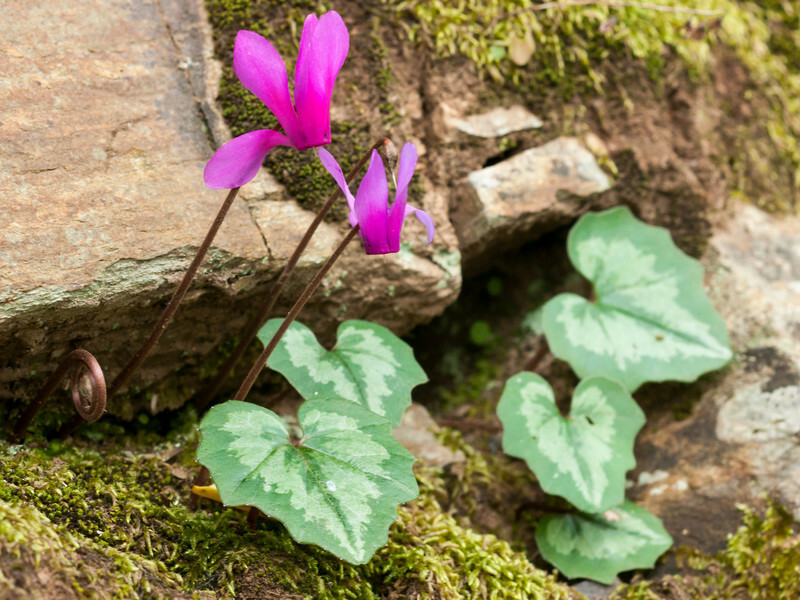 With a new camera, your photographs will not become better - rather the opposite. You can take the best photographs with the camera that you know best - this is unlikely to be a new camera. Comparing camera and lens specifications and purchasing new equipment takes a lot of time and energy, which you cannot invest in taking better photographs. You actually own already too many cameras and most of the purchases are for similar things that you already own - before buying another one sell all of the ones that you did not use within the last year. The less things I own, the higher the value of each item. The less tools I own the better I will know how to use them. The less I own the less I will have to carry around. 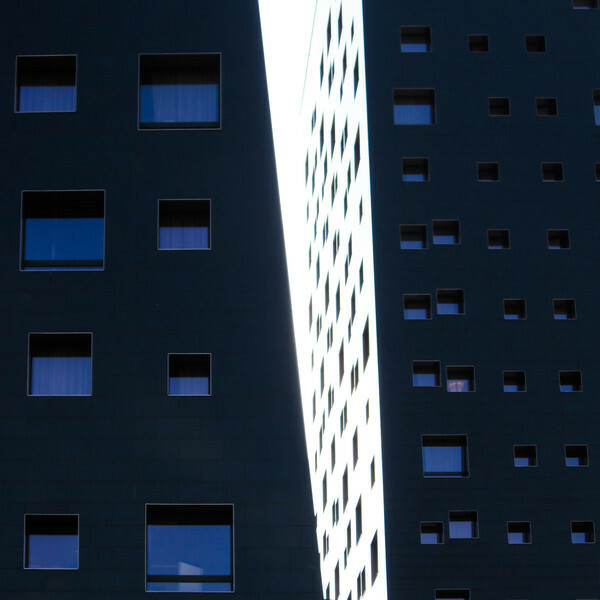 The two towers of the Hotel NH Fiera in Rho/Milan, Italy. The buildings are not straight and they are rather close to each other. I particularly like how the sunlight facade on the right building disappears in the white sky. Only the black windos are visible and seem to float in between the two buildings. *I know that there are some cameras that automatically and non-randomly take photographs. However, I would deny these machines the capability to compose. Carcolors 20: A more concrete and less abstract carcolor composition. This photograph is also less colorful and a broader carcolor view than normally; even the portrait format is rather exceptional. 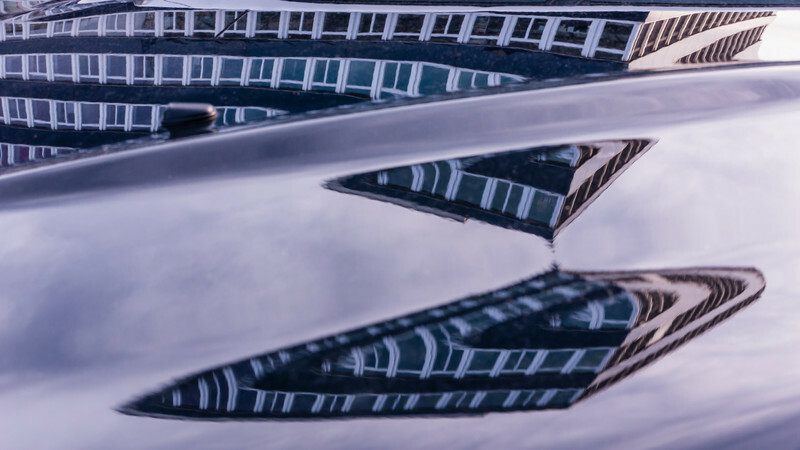 Here, I particularly like how the distorted reflection and the car body merge. Especially on the right side, where the back window of the car completely disappears in the dark reflection of the garage roof. 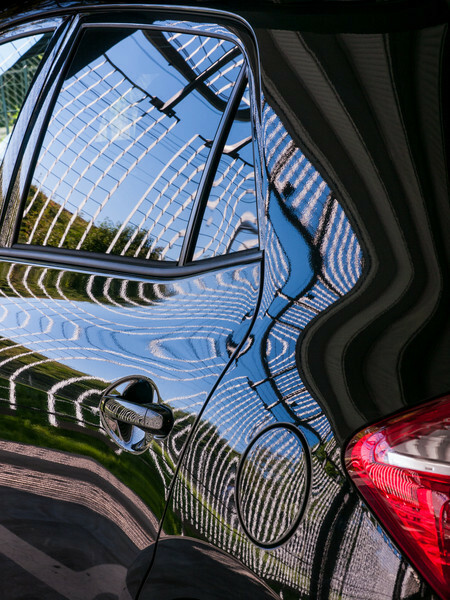 The only signs of the actual car are the backlight, the fuel door, the door handle and the door and window frames. Closer details and differently colored carcolor compositions have been shown in earlier posts HERE and the photographs themselves can be seen in the Carcolors gallery.